As elders, we want to help you love and obey God in this time of upheaval and uncertainty. The vote to leave the EU will have delighted some and caused others deep sadness. Its impact on Scotland’s political future will be causing some to look forward with excitement, and others with despair. Events and opinions continue to swirl all around us, with no-one really knowing what is going to happen. Christians may be blown around by these strong winds if they are not careful. We must be rooted in God so that we can provide shelter for others. Whatever is happening and whatever comes to pass, a Christian’s security in Christ is untouchable. No one and nothing can take us out of God’s hand (John 10:28-29). You need to know this if you’re to faithfully process how you’re feeling, and live wisely. This isn’t about denying your emotions or these important events but putting them in their proper place. The most important thing that could ever happen to you has happened: Jesus has died for you and been raised to new life. This means your sins have been forgiven, you are adopted as a child of God, and you will spend eternity with Him in joy. Hebrews 12:26-29 tells us that God is pleased to give us His Kingdom, “a kingdom that cannot be shaken.” Whether you currently feel desperate or delighted, Jesus is your true security. If you feel less aware of this and more aware of everything else that is going on, we suggest that you turn off you phone / computer / TV, and get before God. Open His Word and ask Him to show you wonderful things in there about Himself so that your confidence in Him would be strengthened. Ask Him specifically to grow these in you as you co-operate with Him. There are people around us who despise those who voted differently to them, and are expressing this loudly (especially on social media). This would have happened whatever the result. We cannot be like that if we’re following Jesus. When we resist these temptations by the power of God in us, we will be used by Him to bring love and peace to others. This will give us opportunities to talk about Jesus, the source of our peace and the hope that everyone needs to hear about. These principles must be adhered to whether you’re chatting to a friend, posting on Facebook, working through the coming consequences, or getting involved in politics at any level. This gives us plenty to pray for and plenty to do! Our focus will continue to be the preaching of the good news of Jesus through building churches that demonstrates His love and resurrection life, and planting others that will do the same. In God’s timing, our new preaching series, “How to Live a Life of Hope” begins this Sunday. It will help us to set our sights on the guaranteed joy we have to come, and share it with others. We’re living at a time about which much will be written in decades to come. 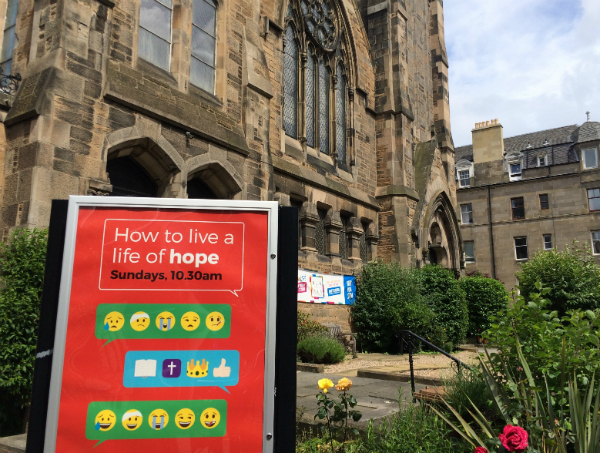 May it be that those accounts will say God’s people trusted Him and blessed those around them, and were used by Him to do glorious things in Edinburgh, Scotland, Britain, and Europe.